You are currently browsing articles tagged malmsey. Malmsey holds a special place in my liquor cabinet. Hint – it’s near the front. It’s crazy sweet but isn’t at all cloying, and is pretty much indestructible (my bottle is 2 years old and survived life in a 95 degree closet in Panama). It works for pre-dinner, during dinner and (especially) after-dinner, and holds up against even the stickiest, gooiest desserts. Still, there’s more to my infatuation, and that’s thanks to a nerdy love of history. 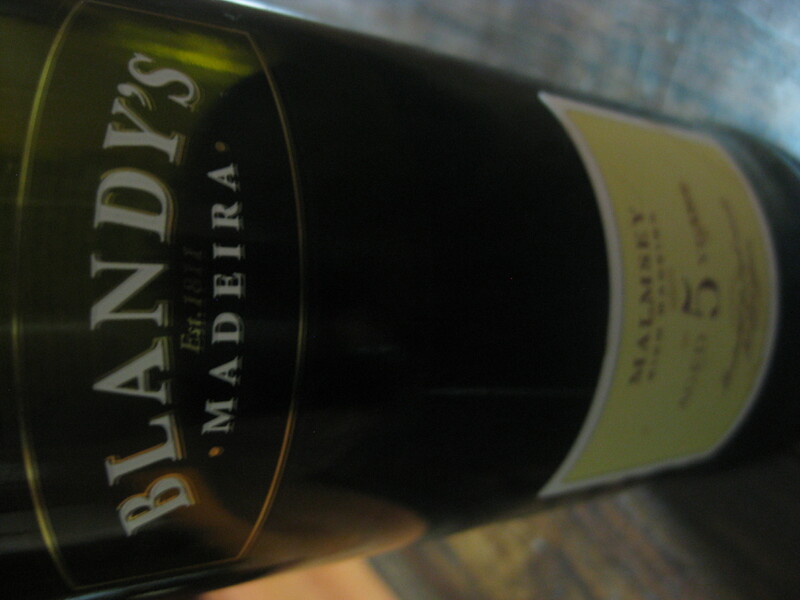 Malmsey is a grape (the sweetest grape!) used in Madeira, quite possibly the finest and most unique style of wine in existence. Just ask that fired NPR guy his opinion on the matter – he knows. Madeira is baked wine, discovered when a case of regular wine accidentally got forgotten in the bottom of a boat that sailed from Portugal across the Atlantic, made its tour of several stops in the Caribbean and headed home to Portugal. Once back to the first stop home – the island of Madeira 500 miles off the coast of Africa – the Portuguese discovered their wine that had been sloshing around in the hold in 90+ degree heat for the last half year. Turns out, it was delicious. No longer does Madeira make its trip through the tropics (except my Panama-purchased bottle, apparently) though. Instead, they’ve developed a process called “estufagem” that simulates a long, hot sea voyage minus the mermaid mirages. Essentially, they bake the wine – probably the single most important thing to avoid when you’re handling normal wine. Heat and wine are like Sarah Palin and Matt Damon. It just seems wrong and really, it is. But then, wine surprises you. Out of nowhere, it starts ripping into heat for believing that dinosaurs roamed the earth 4,000 years ago and becomes something even more beautiful. That’s Madeira – Matt Damon heated up about Sarah Palin. Malmsey is that present you give to people who had such sweet tooths that they lost their teeth and now have sweet dentures. This particular one lives up to the sweet hype with lots of raisin and burnt caramel, a tiny drop of coffee, some orange zest smells wafting in, and a really long finish of lots more caramel. * George Washington loved Madeira best. Other wines wept. * People call anything Malmsey these days. 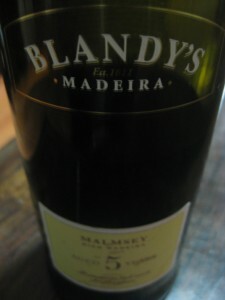 The Malmsey Madeira grape is aka “Malvasia Candida,” one of 12 different types of Malvasia in Portugal.